GRANs at a conference on Older Women Count! in Ottawa December 2016. I am a member of the Grandmothers Advocacy Network (GRAN), a non-partisan network of women spread across the country from coast to coast to coast, who are passionate about the human rights of women and children living with HIV/AIDS in sub- Saharan Africa, where the pandemic has had the most devastating effect. We believe every person has the right to know their HIV status; to have the tools available to prevent HIV infection; and if infected to access appropriate antiretroviral (ARV) therapy to enable them to live a long, productive and normal life. Africa has lost a generation to HIV/AIDS; consequently, a generation of Grandmothers is raising their grandchildren with few, if any, resources. Many of these children are HIV positive since birth. To prevent infection, tools such as condoms and vaginal rings containing antiretroviral medication must be made available for all. Women and girls aged 15-24 account for a fifth of all new HIV infections globally. Nearly 1,000 are infected every day in sub-Saharan Africa. HIV/AIDS has a high incidence in the female population, and affects all age groups. Of the many millions of people living with HIV infection in sub-Saharan Africa, 6 million are young people, and it is estimated that more than 2.5 million people aged 50-plus are infected with HIV/AIDS. There is a lack of data collected on women over age 49, and older women are the least likely to get tested for HIV/AIDS or to have access to treatment. It is estimated that globally, 74% of new cases of HIV among people aged 50-plus are in sub-Saharan Africa. Why is it that in North America and Europe 2.1 million people living with HIV have access to medications, but in east and south Africa, of the 19.4 million people living with HIV only 11.7 million have access to treatment? 43% of the worldwide population infected with HIV is living in sub-Saharan Africa. (Statistics from United Nations 2016 Stats report). Accessibility and affordability of Medical treatment is a very significant issue in sub-Saharan Africa. Medicines need to be affordable, pricing needs to be transparent and competitive. Vaccines and medicines need to be viable in hot climates. Medications for HIV must be compatible with simultaneous treatment of TB. Testing and treatment clinics need to be available in rural areas. The governments of developed countries need to implement laws to ensure International Trade agreements do not negatively impact the availability of affordable medications to those in need in the developing world. A right to health is assumed in developed countries which have national or private healthcare services that can reduce HIV/AIDS to an infection that is survivable. But in many developing countries, with limited resources and minimal access to affordable ARVs, HIV/AIDS remains a death sentence. Affordable access to HIV prevention, testing and treatment must be made available to every global citizen if we really are going to fast-track the HIV response. Angela Quinlan is retired, living in Ottawa and has been working with the Grandmothers Advocacy Network for six years. She is co-chair of the Access to Medicines Working group. They have advocated with the government officials for reform of the Canada's Access to Medicine regime; joined with MSF on the "afairshot" campaign for reduced pricing of the pneumonia vaccine for children under five in developing countries; submitted presentations to the Standing committee on International Trade regarding the negative impact of the Trans Pacific partnership and more recently supported MP Raj Saini's Motion M-132 for the Standing Committee on Health to study Canada's system of federally funded health research. They visit and write letters to Ministers, MPs and the media to advocate for a quality education, access to affordable medicines and the elimination of violence against women and children in sub-Saharan Africa. This blog is part of the blog series: Barometer Rising: No time to backtrack the fast track to ending HIV as a global health threat by 2030 by the Interagency Coalition on AIDS and Development (ICAD) in recognition of World AIDS Day (1 December). The series features a selection of blogs written by our member and partner organizations. 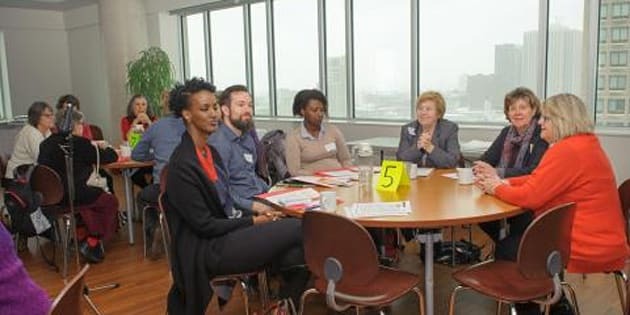 Contributors share their broad range of perspectives and insight on the right to health within Canada and globally to critically reflect on the response to HIV knowing we are now just 2 years from the 2020 Fast-Track targets (90-90-90) and just over a decade away from the 2030 Global Goals for Sustainable Development (SDGs). Are we on the right track or are we on the back-track?